We accept all major credit cards, debit cards, Amex and Paypal. If you live in London we also accept payments at door! 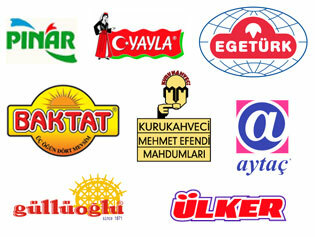 We strive to bring you great customer service and all traditional freshly made Turkish products. Turkish Herbal and Fruit Tea Buy some Special Turkish herbal and fruit teas from the best most popular brand. When you're too busy but still want that taste of traditional Turkish food and products, you can order online in less time than it takes to fry some Sucuk! Every beginning of the week, MarkeTurk team get together in order to update offers of the week. Once you place your order on-line, our personal shoppers visit the shop for you, meet with the shopkeepers and personally collect your order. This means that your delivery is always freshly prepared/chosen specially for you! Place your order before 4pm and get it delivered the same day or if you are out of London and chose Royal Mail for delivery then it might take up to 2 days to be delivered. We deliver Sunday to Friday, 6pm - 11:45pm in one hour slots or alternatively Royal Mail and delivery in 2 working days.